Top Hat Event homeBuy ticketsCustomer reviews HamiltonThe PromNetworkTo Kill a MockingbirdKiss Me KateHadestownOklahoma! Fred and Ginger's delightful classic arrives on Broadway! Irving Berlin's charming Top Hat is bound for the Broadway stage in an all new adaptation. Based on the classic movie starring Fred Astaire and Ginger Rodgers, Top Hat is a delightful flurry of mistaken identities, romantic mishaps and some of the most iconic songs that Hollywood has ever produced, including 'Cheek to Cheek' and 'Let's Face the Music and Dance'. Heading this new stage version is Tony-winner Christopher Gattelli (Newsies), who is directing and choreographing, while the book comes courtesy of Chad Beguelin. Gattelli promises a glitzy large-scale production, and one that pays tribute to Fed and Gingers' film without feeling overly stuffy or reverential. 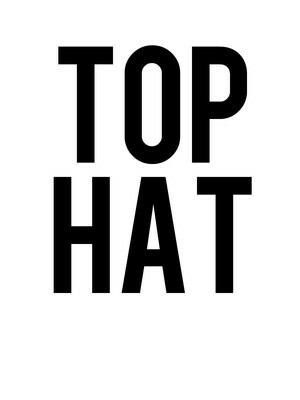 What Is Top Hat About? American dancer Jerry Danvers has flown over to London to star in a show, and is practising his steps in a hotel room when there's a loud knock on the door. He opens it to find Dale Tremont, the woman who lives beneath him, who can't get to sleep for all his tappity-tapping. It's love at first sight for Jerry and swears to make Dale his, pursuing her all over London, and then the world. The problem is that Dale has mistaken Jerry for the producer of his show, a nitwit named Horrace, who just happens to be married to her friend Madge. She's therefore horrified at Jerry's advances, and it's gonna take a whole lot of explaining (and dancing) to win Dale over. 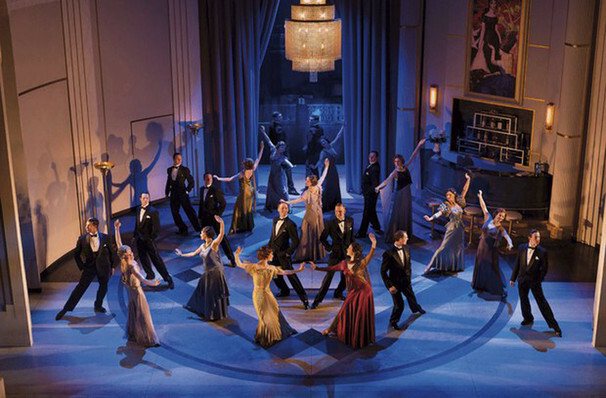 The above image is taken from a separate 2011 London production, and in no way illustrates this upcoming Broadway production. Venue and dates have yet to be announced. Sound good to you? Share this page on social media and let your friends know about Top Hat at Venue To Be Announced. Please note: The term Venue To Be Announced and/or Top Hat as well as all associated graphics, logos, and/or other trademarks, tradenames or copyrights are the property of the Venue To Be Announced and/or Top Hat and are used herein for factual descriptive purposes only. We are in no way associated with or authorized by the Venue To Be Announced and/or Top Hat and neither that entity nor any of its affiliates have licensed or endorsed us to sell tickets, goods and or services in conjunction with their events.